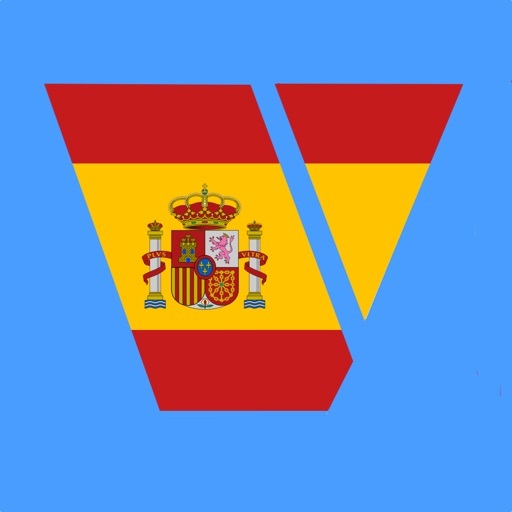 Every Spanish verb has 89 forms that a student of Spanish has to learn. Verbos is the tool to do just that. 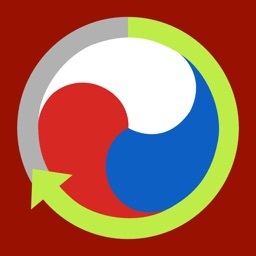 - Learn the patterns of verb tenses by choosing a tense and then drilling yourself on verbs in that tense. 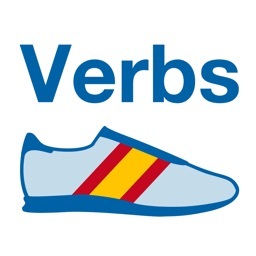 Verbos will select random verbs and present them for you to drill, then show you the correct verb form. In this way, you learn not just specific forms for verbs, but the pattern of verbforms in tenses, so you can apply that pattern to any verb. - Learn specific verbs. You can select one verb or create a verb list of verbs and have Verbos present you with drills on the verb you selected or verbs from your verbs list. 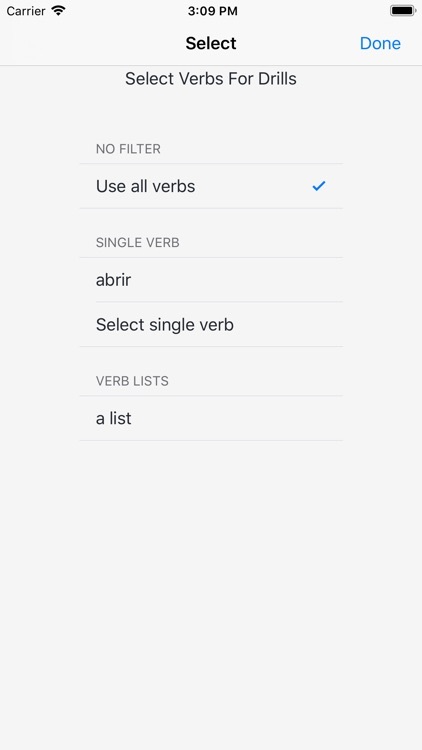 You can create as many verb lists as you need, and have as many verbs on any list as you need. 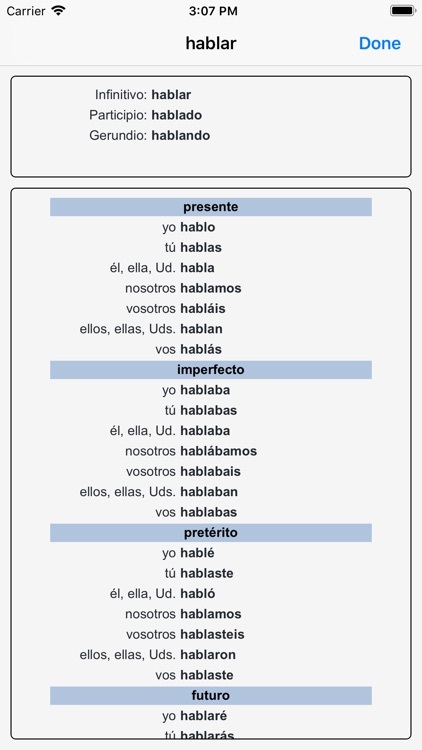 - You can narrow down your learning by selecting only certain tenses, only certain verb types ('-ar' verbs and/or '-er' verbs and/or '-ir' verbs), certain types (Regular verbs and/or Irregular verbs and/or Reflexive verbs) and certain Person/Numbers ('yo' verbforms and/or 'tú' verbforms, etc.). 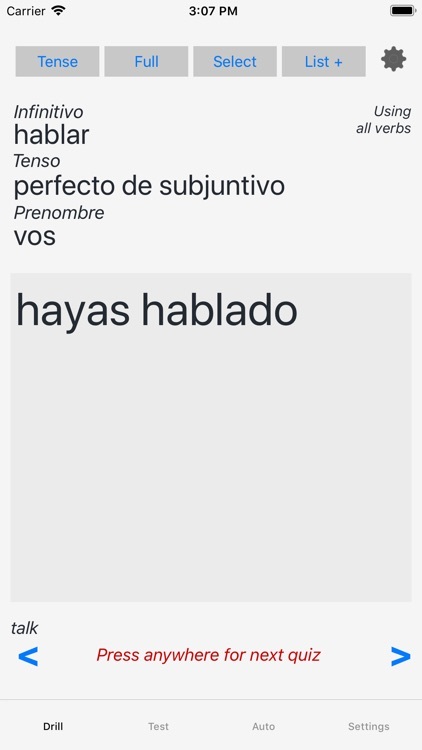 These can be combined in any way to suit your learning needs; for instance, you could drill yourself on verbs with an infinitive ending in "ar", in the presente tense, only regular forms, and only in the 1st person singular person/number ("yo"). 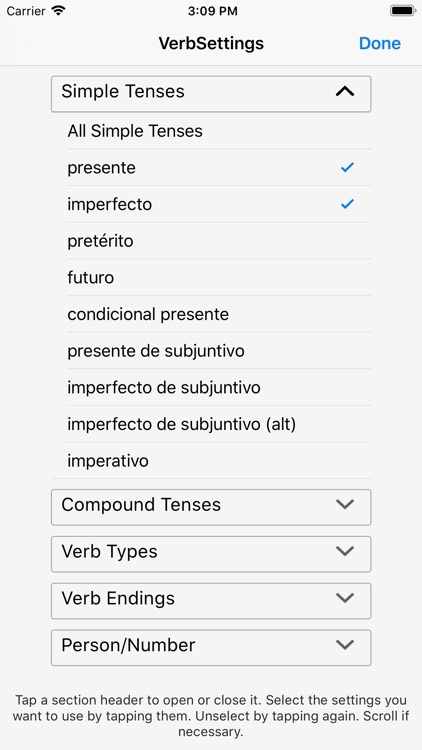 Verbos has over 500 verbs fully conjugated. 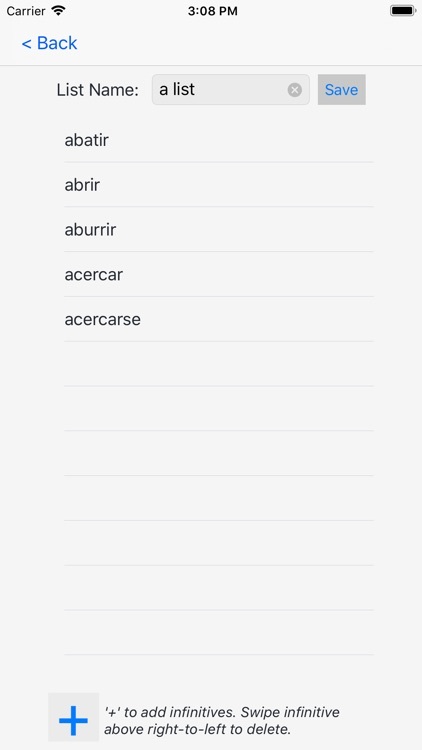 These include all the verbs in Barron's 501 Spanish Verbs. - Test yourself. See your improvement! 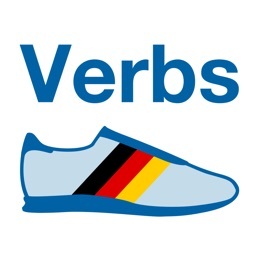 Verbos has three types of tests: timed, number of verbs, and a combination of both. you can selected how long you want the test or how many verbs you want the test to quiz you on. When the test is done, you'll see your score. You can save the test results, and see a history of all saved tests - clear proof that you're learning! 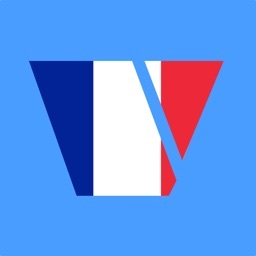 - Create and save any number of verb lists. This allows you to study a small set of verbs as a unit. 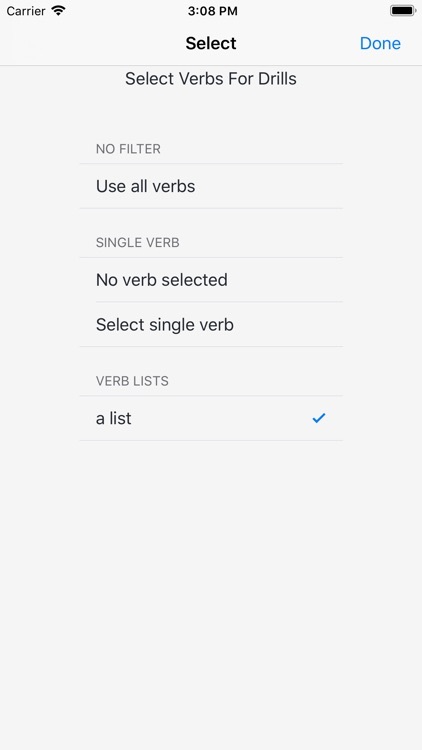 When you use a verb list, only the verbs from that list will be used for quizzing. 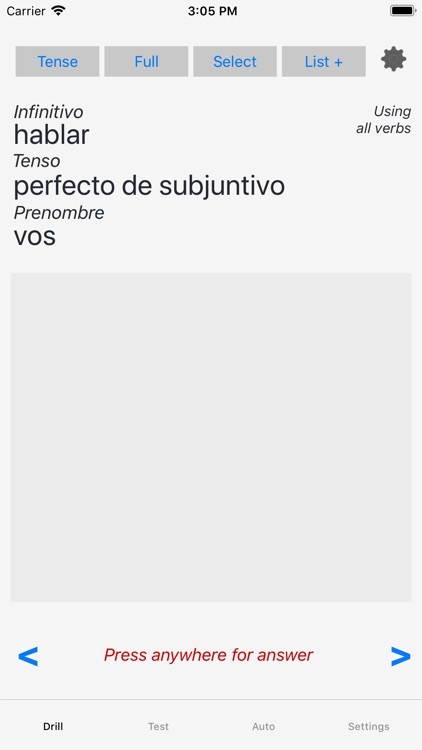 - See a verb's complete conjugation. 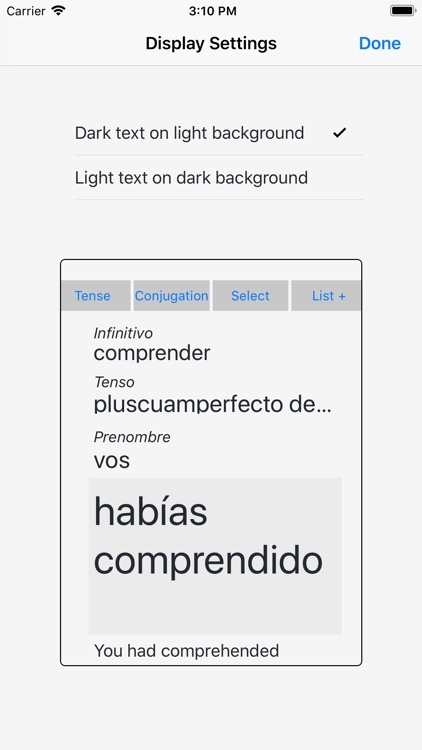 - See a sample conjugation, in English, showing how each tense is used. 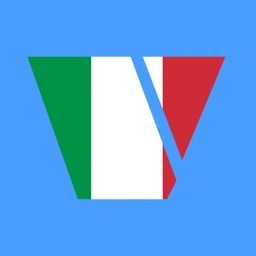 Your Verbtrainer includes a small Help file. If you'd like to see a more complete "How-To" document, go to www.verbtrainers.com and click on the User Manual link in the left column.